India to gain from liberalisation in insurance: John Nelson, Lloyd - Corporate Risks India Insurance Brokers Pvt. Ltd. 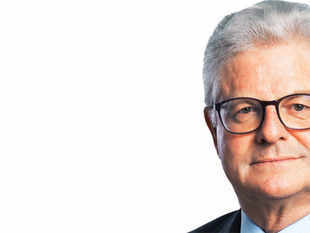 The country stands above the rest of the world with its higher GDP rate, but there is a gap between the government’s actions and the follow-up by the bureaucracy that can be frustrating, says Lloyd’s chief John Nelson in an interview with ET. There is currently a lot of global turmoil largely related to financial markets. Mr Nouriel Roubini famously wrote last year that the world economy is a singleengine plane where the US is the only thing that is running the global economy. In this context, how do you see India? I think at the moment what we are seeing is that the US is looking strong — relatively stable. There is good consumer confidence even. Some of the other developed countries are the same. On the other hand, obviously, the slowdown in China, Brazil and some of the other emerging countries is having an impact. In short, this spike-down of the oil price — although it is going to help India —net net, is probably having a depressing impact on some major economies which are more oildependent like Russi ..
Mr Modi has articulated this very well. It needs to take steps to liberalise its economy and, so I think, it has got a great opportunity right now. Is India doing the right things? There is still a huge amount of inertia in terms of a change. Things are taking time. For example, in the insurance industry, at Lloyd’s, the only business we can do in India at the moment is offshore reinsurance. The problem we have got is that the Indian market is very protected. Having said that, the good news is the Indian economy passed the Insurance Amendment Act to liberalise the insurance model. Since that Act was passed about ..
We hope that it will be published in the next few weeks but what we are hoping is that those regulations really will liberalise the market because if you take the Indian insurance sector, it is a very good example. India is seriously underinsured particularly for the kind of risks that we do which are basically specialist risks. So, how close is Lloyd’s to actually entering India? Well, it is not in our hands. It is in the hands of the ministry of finance and the regulators. So, there have to be provisions for Lloyd’s to come in and that Act enables us to come into the market. But what we have to do is to work with the regulators and make sure that they regulate us and the other international reinsurers on the basis that there is a level-playing field. What kind of signals are you getting that there will be a level playing field? We work very closely with the regulator. He and his team have done really an energetic and thorough job. We still have some issues to resolve which I hope he will resolve in the next few weeks and we have had conversations with the ministry of finance and with the regulator on this and I have been dealing with it. I have been talking a bit about this in Davos as well. As I said, the principles here must be that if you want to liberalise the insurance market you have got to liberalise it. If you put barriers in places where you force reinsurance to be ceded to one career domestically clearly, that is not liberalisation. So, I think that that is an area we are discussing. Would that make you decide against doing business in India? We have to create the best platform. We can encourage the market to come in. I am very hopeful that we will reach an agreement on this and I think if we do, the degree to which the market and the other international reinsurance actually come in, will depend on their commercial assessment as to whether it makes sense for them to come in. To be blunt with you, it depends on how liberal it (Indian economy) is and whether there is a levelplaying field. Ever since the Modi government has come in, the intention has been clear that we want increased FDI across all sectors except for a few sectors. There is an issue of Indian management. Does that diminish India’s appeal? Lloyd’s is one of the most global organisations in the world. We operate in 200 countries. I would say it is making it difficult for international businesses in India. I think there are some sectors and I would actually single out insurance where the benefit of liberalisation for the Indian economy is manifest. I think that is something which we feel very strongly would be in everyone’s interest. We do not quite understand why there is so much difficulty in getting over the line. So, I ..
As Lloyd’s, how do you see the rising global political risk? Lloyd’s specialises in the most difficult of toxic risks. That is what we do. Terrorism and geopolitical difficulties as well are becoming much more problematic in some of the developed countries as well. We need to start to look at what happened in Amsterdam, in Paris, and so on. Yes, that is more of a commercial risk. I would be optimistic and it is very important that the UK stays in the EU. But the EU needs to become much more competitive and it needs to be more liberal. I think what the whole thrust that Cameron is putting on the table is that the EU must go after deregulation. I think that is important. If you look at the actual profit and loss account of the UK staying or leaving the EU, it is clear as a businessman that ..